We are manufacturers under ISO certified factory. 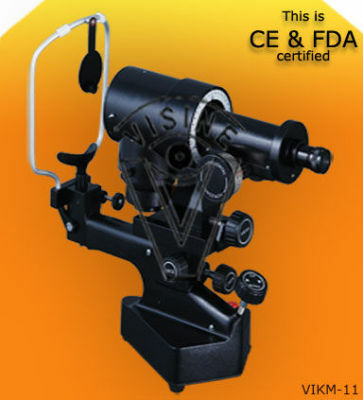 This Keratometer is FDA/CE certified. - The Achromatic Optical Systems to Precise Measurement Of The Corneal Radius Curvature And Accurate Measurement Of Radius Curvature Of Contact Lens.